Now that’s a swimming pool. 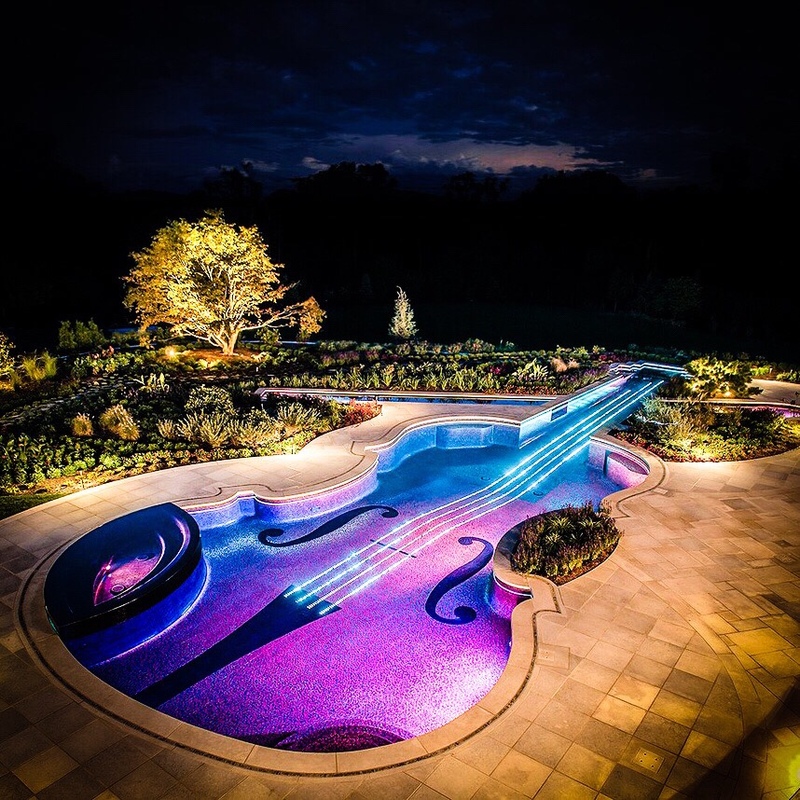 The chinrest is the jacuzzi and the bow is a separate koi carp pool which is below the violin fingerboard. Lane swimming is separated by the strings which are fibre optic lights. To top it all, it’s shape is completely based on a Stradivarius.